Medicare and Medicaid fraud costs taxpayers billions of dollars. When a provider upcharges patients or bills for unnecessary services at the cost of the government, taxpayers like you end up paying more to fund these governmental health care programs. Fraud hurts everybody, so it is essential that whistleblowers stand up and report it as soon as possible. At The Wallace Law Firm, LLC, we have been representing individuals just like you for over 25 years. During this time, we have secured millions of dollars for our clients. You can make a difference by taking action today. Get started on your FREE consult: (404) 814 0465. This is not an exhaustive list, so if you have a fraud case that is not listed, reach out and ask our attorney.  We can review your matter and work with you to file a suit. We accept cases nationwide. In fact, our lead attorney has handled cases in more than 20 states all across the nation. When you take action by bringing a suit on behalf of the government, you can receive a portion of the total damages recovered by the government. This is to reward private citizens for coming forward and reporting the fraud. Your efforts matter because it not only stops the fraud in its tracks, but you can save taxpayers money in the long-run. Make your case count by working with an experienced Atlanta Medicaid/Medicare attorney at The Wallace Law Firm, LLC. We have the experience, knowledge, and proven track record you need. Learn more by calling us at (404) 814 0465.